aren't my type. I'll have to let Homer know about this. 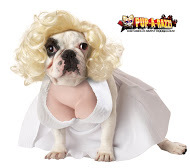 Maybe he'd like his girlfriend to get this costume. Who's Homer? He's a friend from the dog park. He's cool, but his curves are not in the same places at that lady up there. Oops; there I go again looking. My bad! 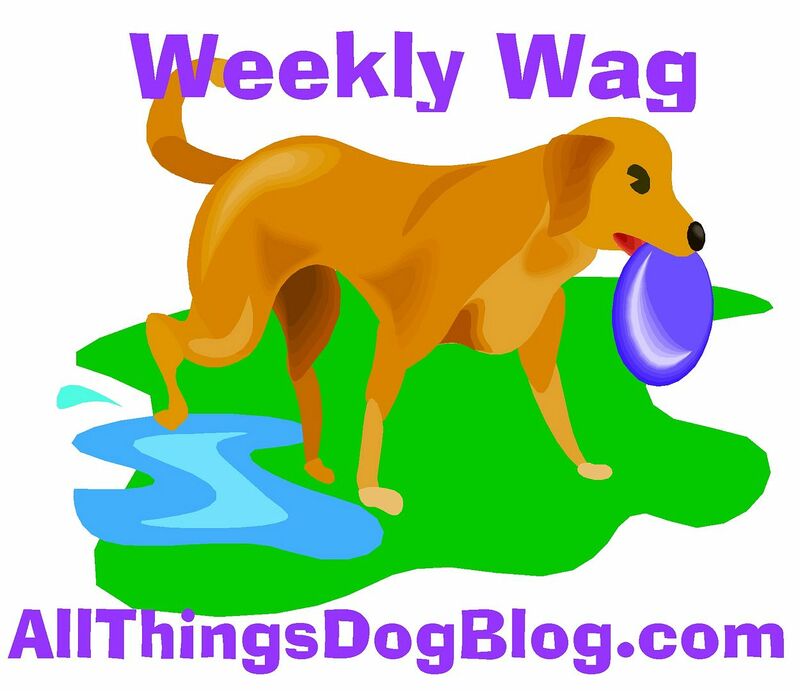 You can find more Tweets at Mom's All Things Dog Blog, and also at our cohost sites: DogTipper and CatTipper. And don't forget to join in the Raffle giveaway also. Have fun! Before I leave, I have one more assignment. 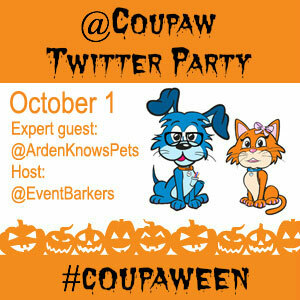 Mom says I have to tell you about some rules stuff: (1) You have to be signed up with Coupaw to receive daily deals in order to win, and (2) Don't forget to RSVP for the party. That enters you to win the first 2 prizes--score! All Things Dog Blog is working with DogTipper.com in their Event Barkers partnership to help promote Coupaw's Halloween products. I'm just helping out :) This giveaway is exclusively for U.S. addresses.